Left: Icon shapes. 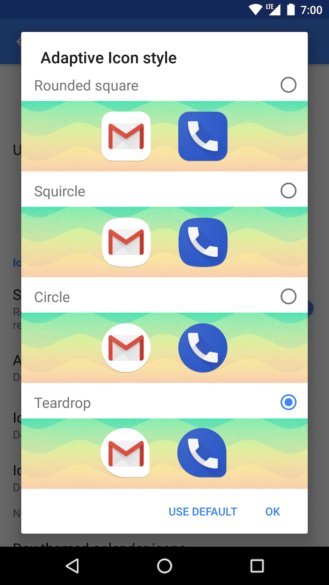 Right: Quickedit icon selector. 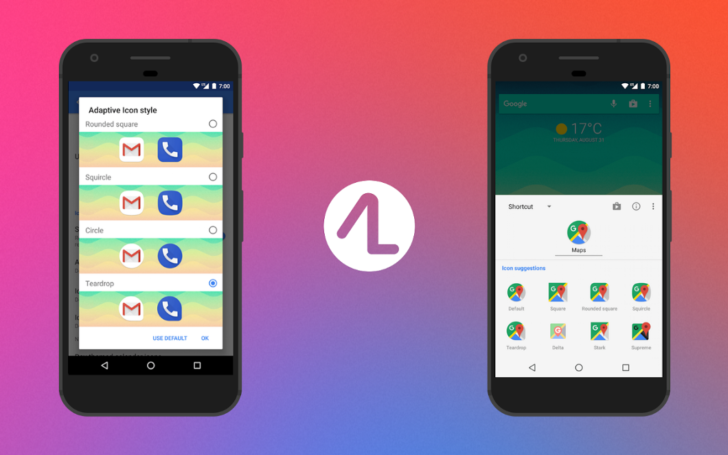 A key feature of Android 8.0 Oreo, adaptive icons are supposed to be implemented by developers of apps, and that should allow phone users to pick different icon shapes in their launcher. Lacy has added 5 icon shape options to Action Launcher, such as circles, squares, rounded squares, teardrops, and squircles. The feature will only work on devices running Oreo, however. 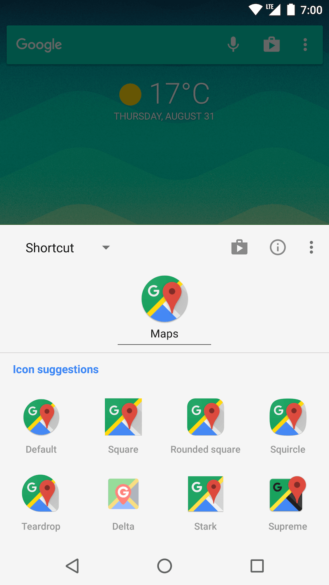 The latest beta also improves on the Quickedit feature which allows you to replace shortcuts with selections from any icon packs you have installed on your device. Adaptive icon support is integrated into the picker, too, so you can mix and match any way you'd like. One other enhancement was mentioned for the v28 update, and that's a light navigation bar for screens that may look better with it, such as the Quickedit screen. Lacy talked about further changes he's working on for a future beta release, like support for Android Oreo's widget pinning. You can grab the app from the Play Store link below and opt into the beta here. If you'd like to install the update manually instead, head over to APKMirror.